Deep Sessions for Korg's PolySix by Studio Toolz is Soundware (e.g. samples or presets that load into other products). PC running Korg PolySix soft synth is required to use these presets. Mac running Korg PolySix soft synth is required to use these presets. 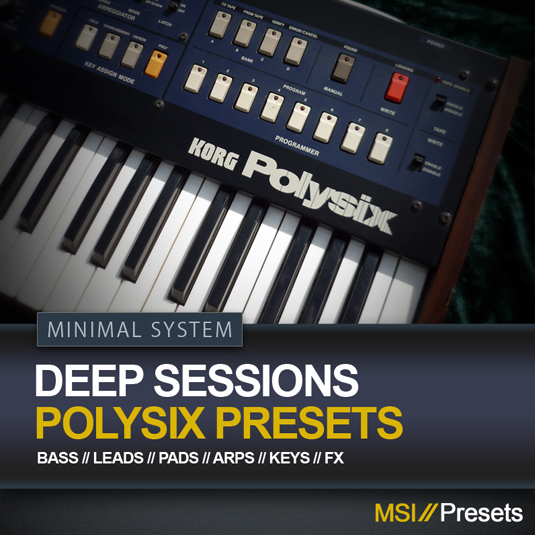 Deep Sessions is a preset collection for Korg' legendary PolySix soft synth with 49 presets encapsulating the deeper and more eclectic sounds of electronic music. PC or Mac running Korg PolySix soft synth is required to use these presets.